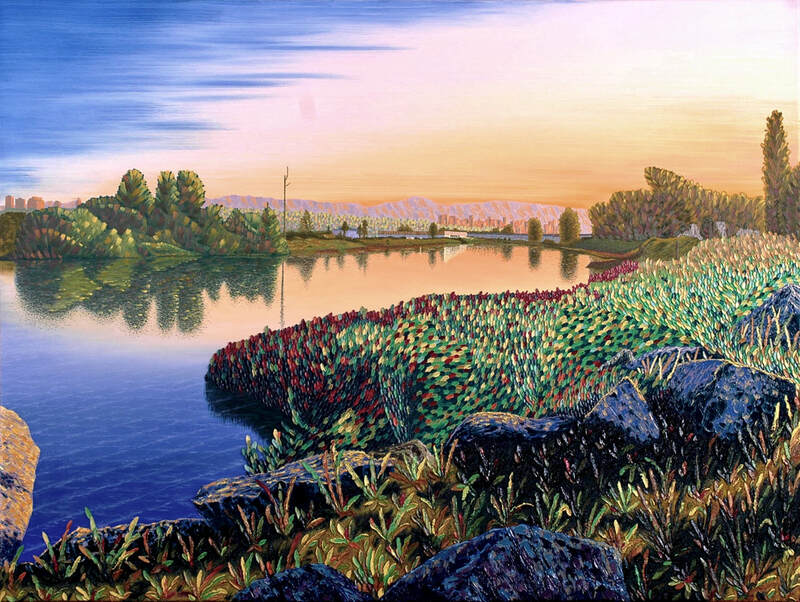 The relief, impasto technique called the "Hollenstyle" gives these scenes a real sense of the natural environment and to 'feel with the eyes'. 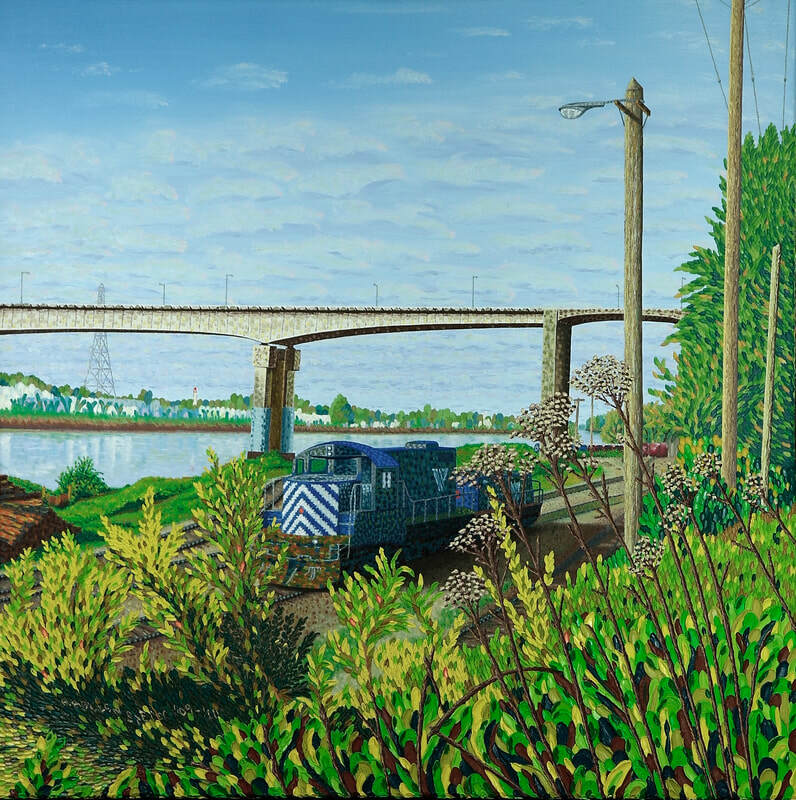 The texture leads the way into these paintings, that beg to be touched. 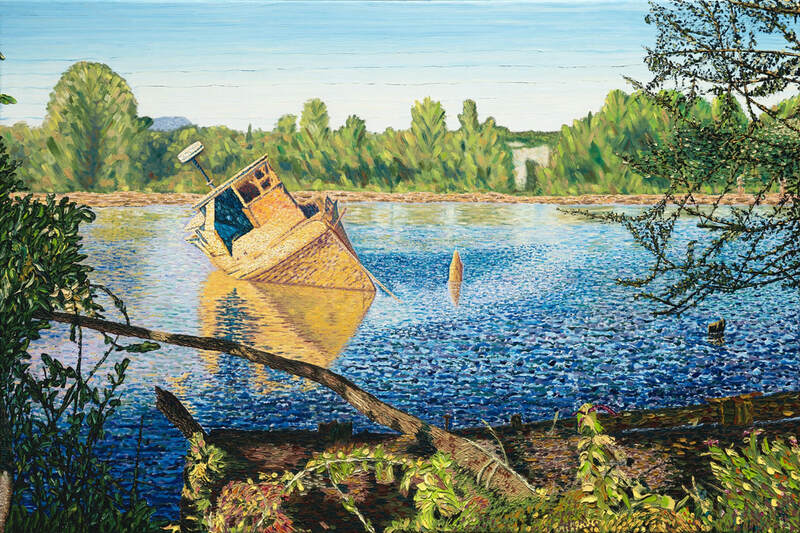 Sunken Boat 24 x 36 in. 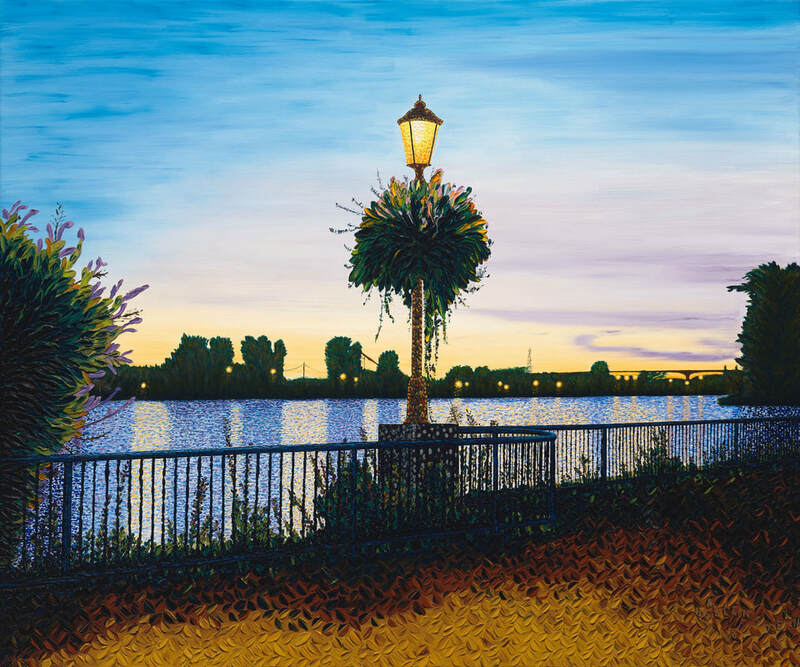 Evening Lamp Post 30 x 36 in. 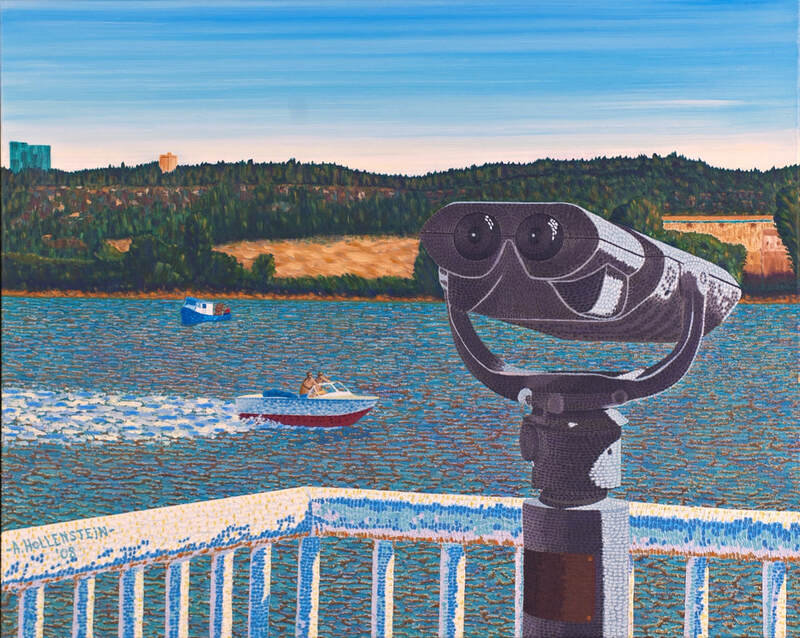 Binoculars 24 x 30 in. 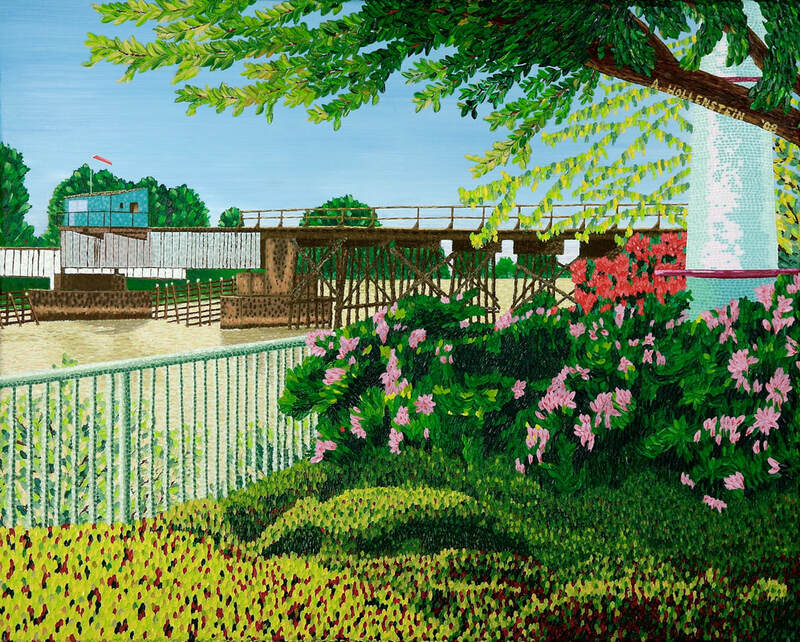 Old Train Bridge 24 x 30 in. 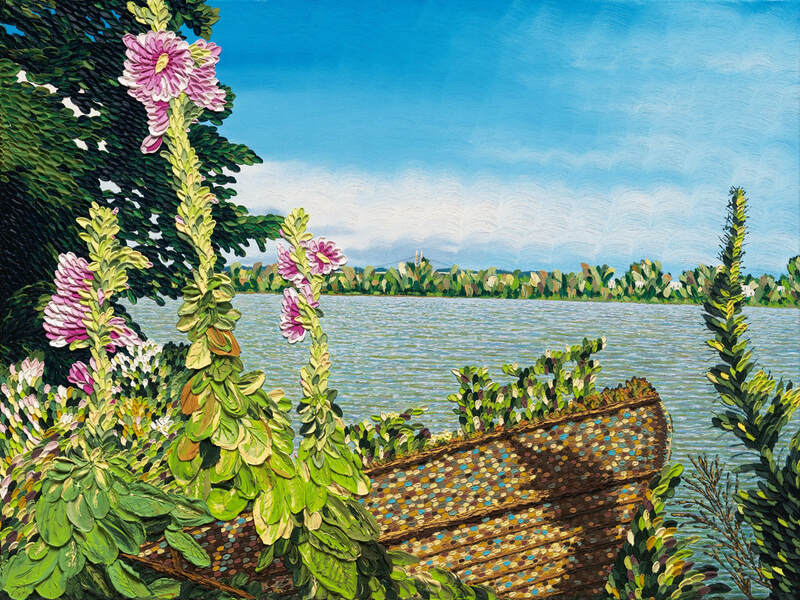 Scout Boat 22 x 28 in. 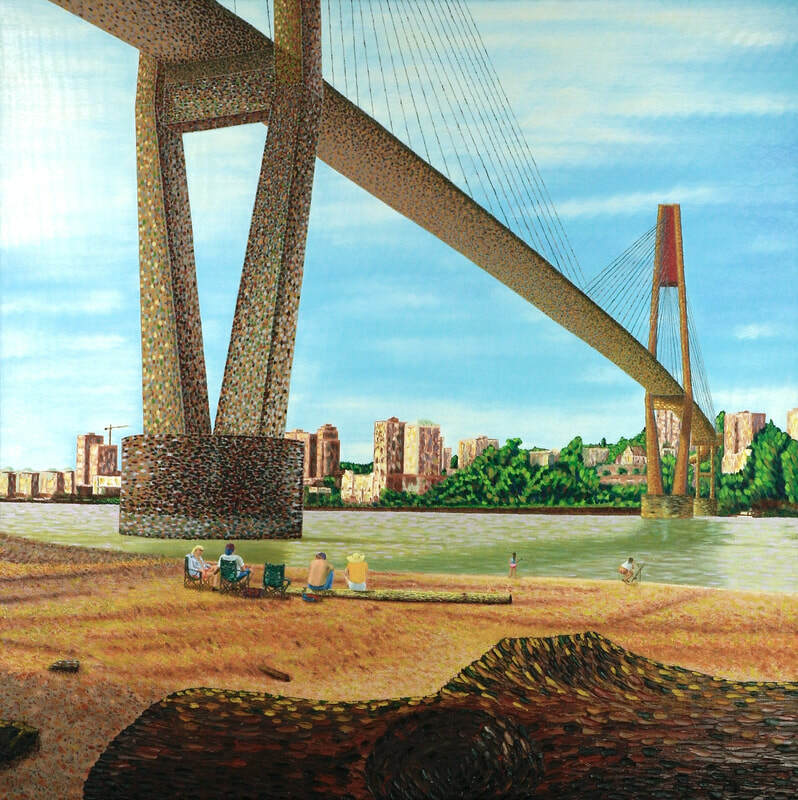 Under the Skytrain Bridge 30 x 30 in. Pink Flowers 18 x 24 in. 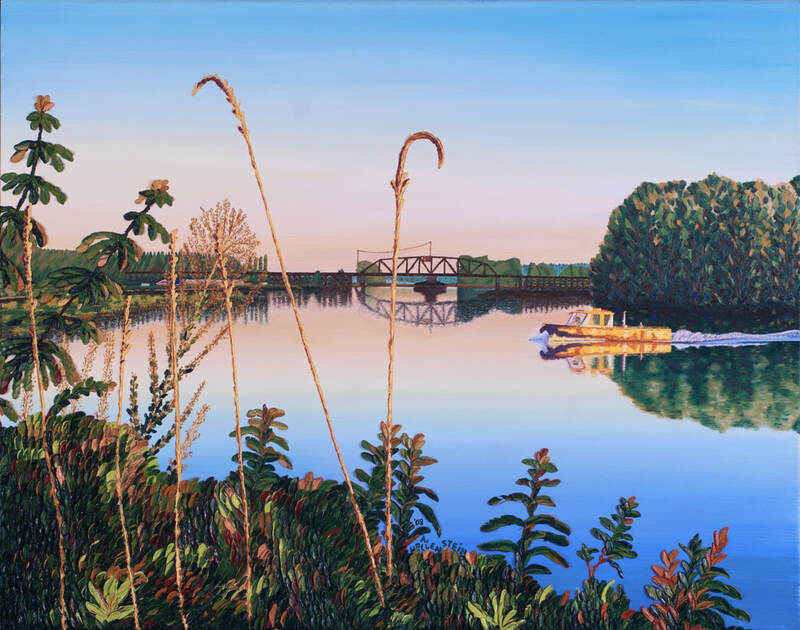 Calm River at Dawn 30 x 40 in. Blue Train Parked 30 x 30 in. 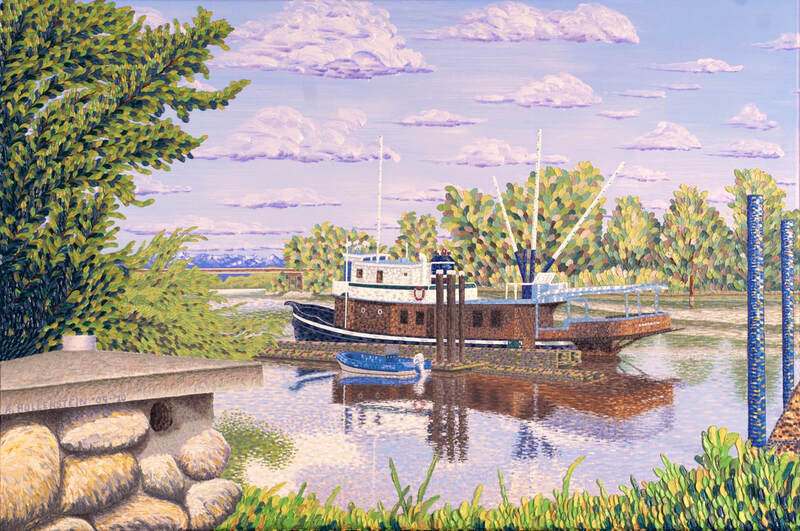 Docked Yacht and Boat 24 x 36 in.